Blended learning is a pedagogical approach to learning and teaching that marries digitality with classroom learning activities. It is both a mode of instruction and learning that has different models which according to Dreambox include: self-blend, online driver, face-to-face driver, rotation, and online lab. 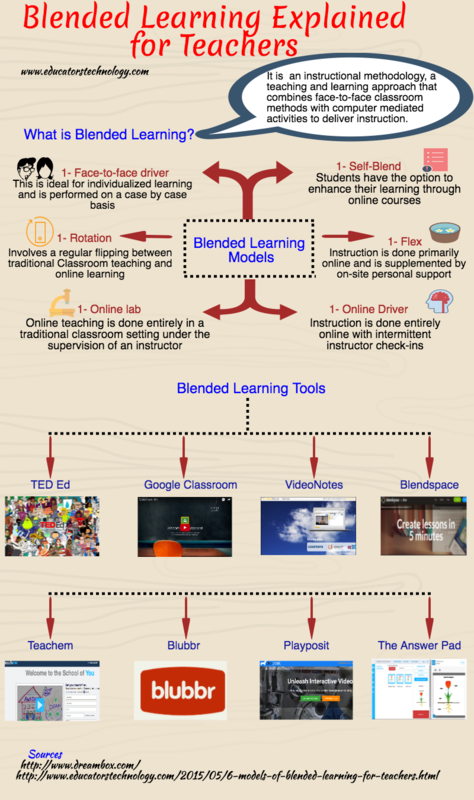 The visual below sheds more light on what blended learning is all about, what each of its models signifies, and the different tools and apps you can use in a blended learning class. Check it out and share with us your feedback in our Facebook page.